ZENS may have plans to launch their own third party wireless charging station for the Galaxy SIII sometime soon, but Samsung seems to be on top of their accessories as well. 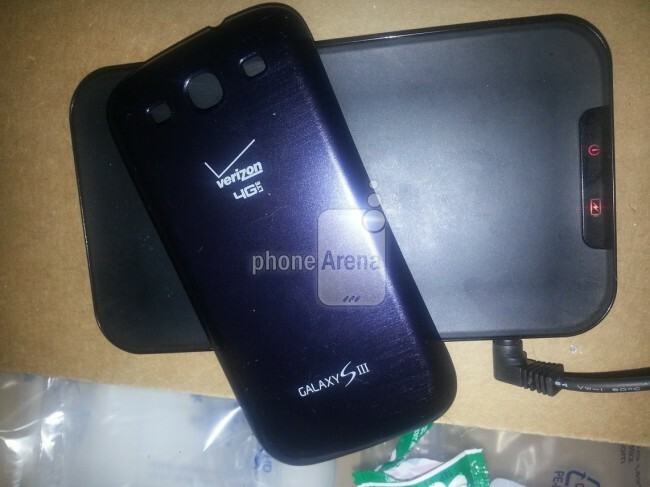 A tipster sent these photos over to Phone Arena and showed that Verizon and Samsung are working towards getting their own chargers ready for primetime. The anonymous tipster says the charging dock itself was supposed to be listed at $70, but is going to be marked down to $50 instead when they hit the sales floor. The problem is, you need to buy a new back for the phone so that it will work with the station, and the new back for the phone will run you $39 according to the source. $89 before tax to get rid of wires with your Galaxy SIII. ZENS’ kit is supposed to be around $80, which one are you going to choose?